I exhibit this recipe as a recognition to our Cookorama. This is the first place on the Internet where I checked in, here I put my first recipe, and wrote my first comment on the Internet. 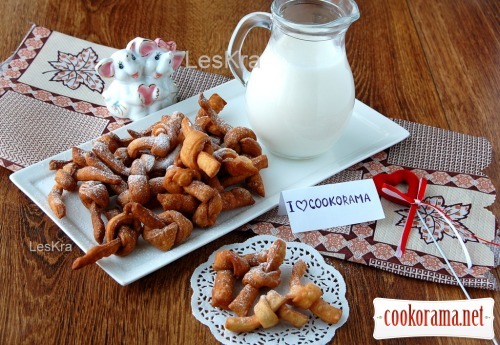 Cookorama- my first love, and I'll always remember this. You can forget many things, throw them out of your memory or intentionally delete as unnecessary references. You can go further in your life, learning the the world. But anyone remembers first love because it is always delicate, almost weightless, romantic and slightly heady. 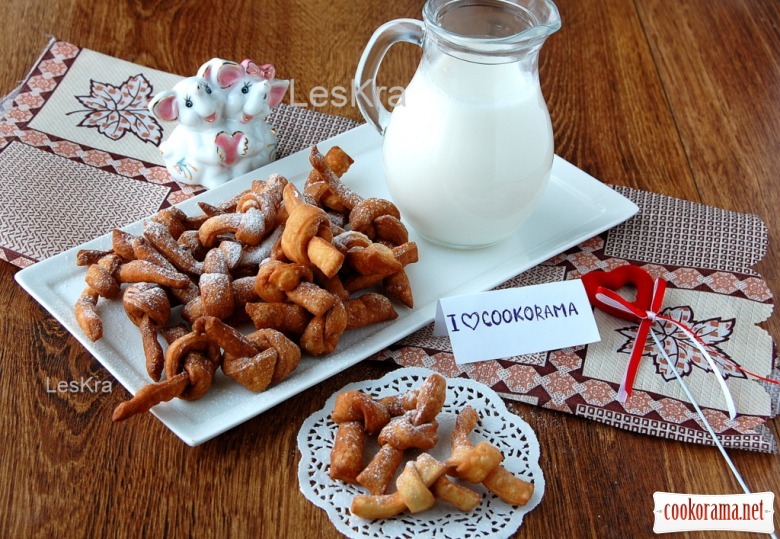 It is this symbolic cookies in the form of knots, soft and weightless, a bit heady from sweet wine, I wish to express my love to our Cookorama. I connected with it like this invisible knot for a long time and I like it a lot! 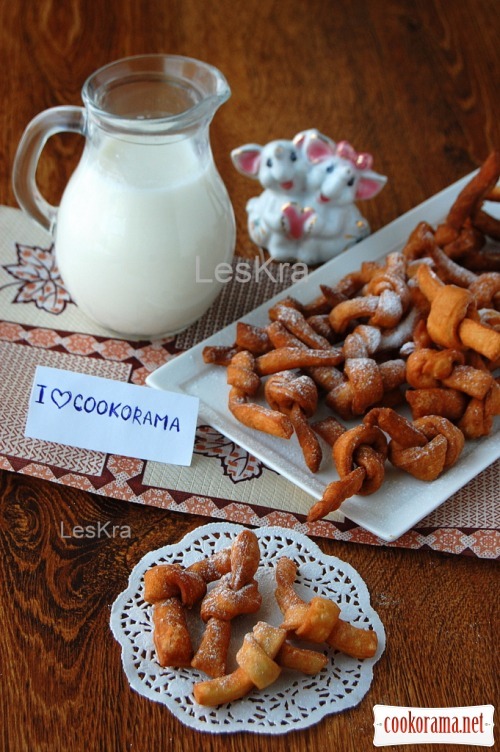 This Italian cookies, which are fried in deep fat and are served during the carnival. Done quickly and easily. It does not require large material costs. It does not absorb fat. Gentle — airy. And it turns out an impressive bowl of it. 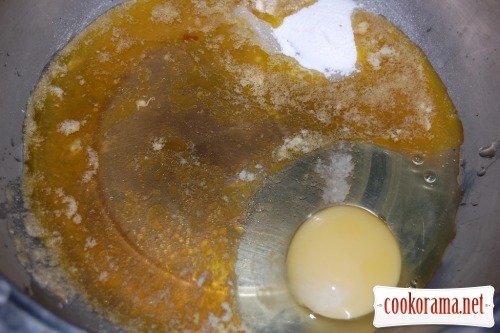 Slightly mix egg, wine, melted butter, salt, vanilla powder. 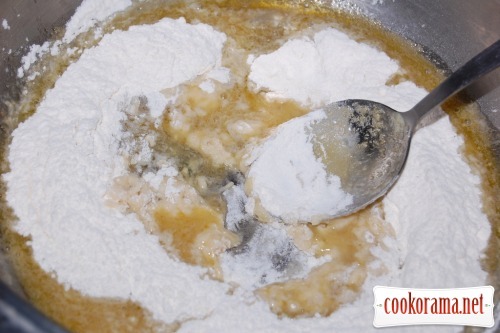 Add flour, stirring constantly. You should get plastic soft dough. I did not use as much flour as indicated in the recipe. Put dough in the refrigerator for 1 hour. 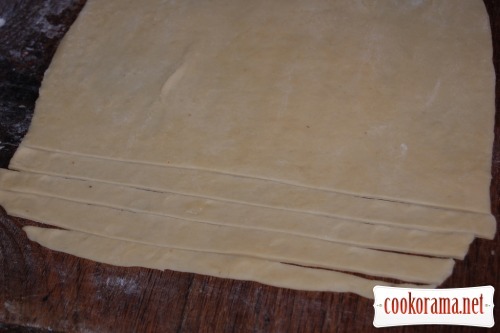 Then roll out very thinly and cut into strips 1.5 cm wide, 10 cm long. 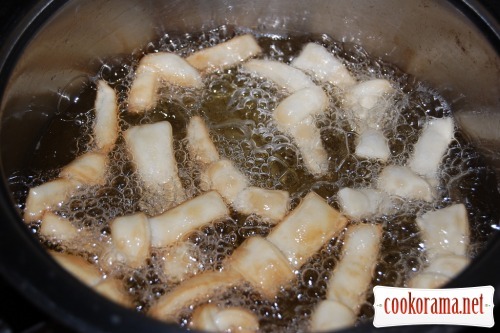 Fry in deep fat until tender — it is very fast). Sprinkle ready knots with powdered sugar. 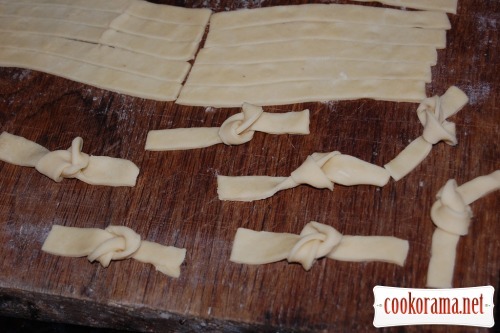 Top of recipe "Italian knots"